Here are some common questions our office receives about Canadian Permanent Resident cards (also called PR cards). You may also read our website for more information about Permanent Residence Card rules and about the residency requirements for maintaining your card. How long does it take to get a Canadian Permanent Resident Card? 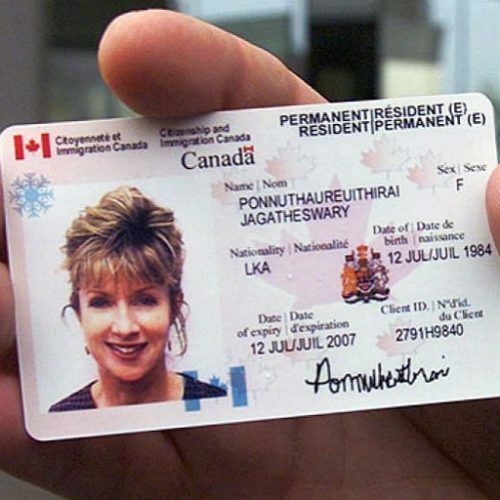 How long does it take renew a Canadian Permanent Resident Card? Once my card is approved, where do I pick up my Canadian Permanent Resident Card? When I pick up my Canadian Permanent Resident Card, what documents do I need to take with me? What do I do if I lost my Canadian Permanent Resident Card? How do I change my address on my Canadian Permanent Resident Card? Can I travel or drive to the United States with a Canadian Permanent Resident Card? Can I travel to the US with an expired Canadian Permanent Resident Card? There are various factors that can be used to expedite the processing of the PR card. It is advisable that you contact one of our lawyers for further information. For LMIA information – please see here. If i was more than 6 times out of Canada and i need to add an extra page to “Renew PR aplication” what to write in -” Period to be assessed:”? in both these pages? Thank you for contacting us at VisaPlace! We would love to help you with the writing content of your PR application, but we do need to take a closer look at your case. Hiring an immigration lawyer will help you get answers to all of your questions, plus it will increase the chance of getting a visa approved. Please, complete this form for me http://www.visaplace.com/immigration-assessment/ it is just a quick and easy way for me to learn more details about your situation so that I will be able to advise you accurately and determine the best avenue for us to take to give you the best legal advice. To renew a PR Card I have to send copies of all passport pages or just ID page ? Thank you for contacting us at VisaPlace! Instructions included in the application should provide insight into which documents you will need to provide. Hiring an immigration lawyer will help you get answers to all of your questions, plus it will increase the chance of getting a visa approved. Please, complete this form for me http://www.visaplace.com/immigration-assessment/ it is just a quick and easy way for me to learn more details about your situation so that I will be able to advise you accurately and determine the best avenue for us to take to give you the best legal advice. 1. Can we friend or relative can take the PR card on my behalf? 2. Can they send via courier to me and i can bring my PR card while coming? Thank you for contacting us at VisaPlace! I understand how the laws can be confusing when it comes to obtaining your PR card. Some districts may have different laws in order to get your PR card in hand. Hiring an immigration lawyer will help you get answers to all of your questions, plus it will increase the chance of getting a visa approved. Please, complete this form for me http://www.visaplace.com/immigration-assessment/ it is just a quick and easy way for me to learn more details about your situation so that I will be able to advise you accurately and determine the best avenue for us to take to give you the best legal advice. Hi, I would like to inquire about the renewal of the PR for my husband. His PR is due to expire in January 2018, but he has not yet moved to Canada nor lived there for more than 15 days in all. He is a South African citizen and is residing and working in South Africa. Can he still apply for the renewal because the immigration website says he should be residing in Canada or have held a job there for a stipulated period of time, which he won’t be able to fulfill before his PR expires? Thank you for contacting us at VisaPlace! He may still be able to apply for the renewal, but we would have to take a closer look at his case to determine this. Hiring an immigration lawyer will help you get answers to all of your questions, plus it will increase the chance of getting a visa approved. Please, complete this form for me http://www.visaplace.com/immigration-assessment/ it is just a quick and easy way for me to learn more details about your situation so that I will be able to advise you accurately and determine the best avenue for us to take to give you the best legal advice. I have been a Permanent Resident for 24 years and have recently booked a trip to Germany that was short notice. I applied for my PR card to be renewed as it expires mid June. Do to the long processing time they are just now working on March applications which means my card won’t get here before I leave on 26. June. My question …. What do I have to do to obtain a travel document before I leave? I can’t find any exact answers on how to proceed. I’m getting pretty stressed about this. Thank you for contacting us at VisaPlace! You should always have a valid visa when traveling to another country. Unfortunately, we can not help with obtaining a German visitor visa. I have couriered my documents for PR Renewal on 15th Feb 2017.How long does it take for application to be processed and to hear back from Immigration office? Thank you for your inquiry, I’m glad you contacted us! Each case is individually processed which means that your case process time will be different than another case, they’re all unique. Hiring an immigration lawyer will help get you all your legal questions, it will also increase your chance of visa approval. I would love to help you during this journey! Please, complete this form for me http://www.visaplace.com/immigration-assessment/ it is just a quick and easy way for me to learn more details about you and your situation so that I will be able to advise you accurately and determine the best avenue for us to take to help you obtain the best legal advice. Good day! I applied and already sent my PR card renewal application last February 27, 2017. I am to leave Canada from May 16-June 20 of this year. For the last five years, I have only left Canada for 40 days. Before my departure date, if the new PR card is still not in my mail, can I leave Canada bringing with me my old PR card which is to expire in august 2017? if that is so, upon arrival at Vancouver International Airport this june 19, again, bringing with me only the old PR card, would the border agents deny me entry to canada? thank you very much for your prompt response. Have a wonderful day! I can understand how waiting for your PR card is very frustrating. Hiring an immigration lawyer for your PR questions is highly recommended. An immigration lawyer will know the status of your card and answer any of the questions you have in related to your case directly! Please Norman, complete this form for me http://www.visaplace.com/immigration-assessment/ it is just a quick and easy way for me to learn more details about you and your situation so that I will be able to advise you accurately and determine the best avenue for us to take to answer your questions. My wife has just received her immigrant visa which expires at the end of May 2017. I am a Canadian citizen and we both live together outside of Canada. 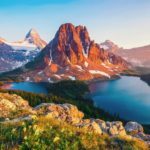 My wife and I are unable to move to Canada until early 2018 because of work and school commitments. We are planning to travel to Canada in mid-May to complete the PR interview, then return to our country until 2018 when we emigrate permanently. Our plan is for her to do the interview, then have the PR card mailed to my parent’s address in Toronto, and then my parents will mail it to us via courier at our home outside of Canada. Does this plan make sense? What are the chances that the IRCC will make my wife pick up the PR card from the office in Toronto? Would my parents be able to pick up the card for her? hello! I am a canadian permanent resident, I left to europe for vacations, my passport is visa exempt, and I left with my expired pr card.. now i have a problem.. i need to apply for a travel document in order to re enter canada… my question is: is it possible or.. do I stand for a chance, or do I have the right to have a travel document so i can return to canada? I have my COPR (confirmation of permanent residence) my social number and I can provide payslips from my job. Hello Shubhashis. If your permanent address on file is within Canada, your PR card will be mailed to you. If your permanent address that is on file, is not in Canada, then you card will not be mailed, and you will have to pick it up in person. Do I need to receive the mail containing PR Card by person or my relative can receive it on behalf of me while I am absent in the mentioned Canadian address? I’m renewing my PR card, but I have too many supporting documents and my file is really thick. Will CIC accept those documents on a CD or on a thumb drive, or do I need to actually print them all? Hello Elliot. You must submit the papers in the exact format that you have been requested. Hi, what if i didn’t meet the residency obligation? Is it possible for me to come back to Canada? Thanks for any help. I have stayed abroad approximately 1200 days with my spouse a Canadian citizen . Approximately 450 days I spent in Canada . However when I reviewed my application in preparation for the interview , I find that I forgot to mention that I did travel out of Canada for 60+3 days . ( twice ) . All other travels outside Canada are correctly furnished , However, my stay accompanying my citizen spouse remains same which is the criteria for my residency . Further, there was a typo in the address period where I typed the end period for the Canadian address during my stay in Canada as 2012 , instead of 2013 . I am worried that the unintentional errors will create an issue although it wouldn’t have affected the decision of the immigration officer . I arrived in Canada in Jan 18. Its already been 4 months but I haven’t received my PR card yet. Two months earlier I received a mail from CIC regarding photos and have send them within few days of receiving the mail. Now I am to leave Canada for few months. What can be done? Hello Sailes. If you leave Canada before you have your PR card you will need to have a travel document prepared for you from your destination country in order to reenter Canada. Hi I’m a British Citizen and I’ve had a Canadian PR card since 2005 after I married my Canadian husband. We now live abroad due to my husbands work and my PR card expired in January but I’m out of the country. How do I renew? Please note that I did not get the renewal letter through the post at my Toronto address like I did last time? Do I need to travel back to canada to renew? Please advise, thank you. Hello… I went in for my interview on February 16, 2016 for my pr card interview. The interview went well and now it’s been over 10 weeks and still haven’t received card in the mail.. can you direct me as to what next step is should take? Hello Stacy. The wait time varies depending on how busy the immigration office is. This time of year is particularly busy because of the number of visitor visas that are being processed. I came on a spousal PR sponsorship in July 2014. My PR card expires on Feb 2020. Do I need to notify anybody before I reach the 2-year mark, given the fact that I came on a spousal sponsorship? Hello Sara. It is not necessary to notify anyone when you finish the two probationary period. I am confused about why our family’s PR card has not be renewed yet. We applied in Jan 2015 and then in March 2015 we got a letter explaining that we need to send all pages of passport. We sent them back and now the status when i check online says that it is in process. Its been more than a year now and we need to travel in July. Can we travel with an expired PR card? Also how long does it take for a renewal as its says 8 months..but its more than 8 months now. Please advise. Hello. Thank you for writing to us. Sometimes the processing of applications and renewals takes longer than predicted and as in your case, puts future plans in jeopardy. If you leave Canada without having your renewed PR card, you will need to apply for a temporary visitor visa when you get to your destination country, to get back into Canada. The easiest solution is to wait until your renewed PR card arrives before you leave the country. Hello. I have a question about returning to Canada. I immigrated with student visa last year and I apply for pr as I married with a pr girl. But I have not get my PR card yet after 4 months. Last month I decided to visit my home country. Now I want to travel back to Canada. Can I return with my student visa? It is not expired. I really need information thanks. Hello Mohammad. Thank you for writing to us. Was your spousal sponsorship an Inland or an Outside sponsorship. If it was Inland, you might be in a lot of trouble. Give me more information. I did not understand what do you mean by inland? Thanks for your prompt answer to my previous question. I have another question. I have landed in Sep 2015. And I have not received my pr card yet. In February 2016 I had to travel to my home country. I want to come back on April 20th , 2016. Now I think I have to apply for travel document. What is you suggestion for me? Should I still waiting for my pr card? where can I find the exact time of receiving my PR card? If I have to apply for a travel document , what is the procedure and exact proccesing time. Thanks for your help. I am really worried. I landed on Sep 2015 with my husband. I did not get my pr card until January. Then I called CIC and they told me it is in process. Then I should travel to my home country in February for 2 monthes. Now they send a letter to my apartment in vancouver that they need new photos for my pr card. Can I take photos in my home country and scan it for my husband to send them? They said that address of photography should be written in the back of photo, is it fine if the photographer is from outside Canada? Hello Paria. Your pictures coming from a foreign country should be fine provided they follow the exact format and rules that are outlined by CIC. I landed at YVR in October 2015. Still hadn’t received my PR card by the end of December so filled out the solemn declaration and sent it. Received a letter stating I needed new photographs so got them done and sent them off in mid January but have still heard nothing. I can’t find a contact number that allows me to speak to anybody on this matter. Is there somebody I can phone or email or do I just have sit and wait, and wait, and wait…. thanks in advance for any help on this matter. Hello Ian. Waiting is never easy. If you sent your photographs to the proper address with the proper case information, then you know that your case is being processed and all you can do is wait. I renew My PR Card in September 2015. And I need to go back my back home to visit my Dad in the end of January/2016. How Can I do to get my PR card before I leave Canada? Thank you for writing to us Cuong. If you have already submitted your renewal before your PR expired you must wait for your new card to be sent to you before you leave the country. If you must go, you will need to apply for a travel document. January is just around the corner, time is of the essence. Someone from our office will be in touch with you shortly to see how we can help you. My husband and I landed in Toronto on 10th of October and became permanent residents. we have tickets to go beck to our country to finish up some unfinished affairs. I want to know about the status of our PR card, so I called CIC but unfortunately the agent did not tell me anything about our PR card. I just want to know in which step our cards are. Could you please help us. Thank you for your inquiry Ayda. I am really glad that you contacted us. Please Ayda, complete this form for me http://www.visaplace.com/immigration-assessment/ it is just a quick and easy way for me to learn more details about you and your situation so that I will be able to advise you accurately and determine the best avenue for us to take to make sure that you do not have any complications because of your travel. I applied for the renewal of my PR card on July 5, 2015 from Ottawa, Canada. My PR expires on Nov 1st. My husband is a born Canadian. I live with him in US as he is on assignment in US. Our home is in Ottawa. We have to go back to Ottawa on Nov 24th. We have purchased the Airline tickets also. I have not yet received my renewed PR card. Please advice. Thank you for your inquiry Anshudeep. I am really glad that you contacted us. Unfortunately, sometimes it takes a lot longer than expected to receive the official certifications from Immigration Canada. Please Anshundeep, complete this form for me http://www.visaplace.com/immigration-assessment/ it is just a quick and easy way for me to learn more details about you and your situation so that I will be able to advise you accurately and determine the best avenue for us to take to make sure that you do not have any complications because of your travels. So my question is if I now change Province to BC (as circumstance changes) and tries to settle there, will this going to create legal issues in Renewing PR card? I applied for my PR upon landing at Calgary and happened to give my uncle’s address in Toronto. It generally takes around 6-8 weeks to come in mail at the specified address. My question is, do I need to be physically present at the address to take the delivery or can my uncle take it? I arrived at Calgary airport on 1st of May and gave the address for the delivery of the PR card at my Uncle’s in Toronto. What does it mean notified? Won’t notification only come when I am supposed to collect it from CIC’s office? Wouldn’t it otherwise by delivered at my uncle’s residence? Do I need to present at that residence? I currently don’t have a permanent residence and staying with a friend. I’m not sure whether I would stay in Toronto or Calgary. Do I still need to update the address as yet? Plse what is the meaning of “meting the residency requirementof beinng in canada for at least 2yrs out of 5yrs ” For instance ; if i leave canada May 2015 and return September 2016, have i lost the residency requiement of being a permanent resident? can i still renew my PR card on expiration? Thank you for your inquiry. What the residency requirement under Permanent Residency means is that any and all PR card holders need to reside in Canada for 3 out of the 5 years of which their card is valid. Meaning, if the card was issued to you January 1, 2015, it will be valid until January 1, 2020. You will need to demonstrate through examples of your employment, bank statements, and passport stamps that although you may have traveled outside of Canada while you had your PR card (which you are permitted to do), you still lived in Canada for at least 3 years from January 1, 2015-January 1, 2020 using the example I gave you. I have one question regarding PRC. Last year i comeback to my country for some emergency issue. Before coming back i noticed my PR card has name spelling mistake, So i called CIC, after confirmation they said to apply for new Card. I told them that i need to travel back in emergency, and they said It’s OK to travel as PR card has printing mistake not a Database mistake. Than i applied for new PR card (with my relatives permanent address) and return backed with my PR card. Now my relative email me one scanned letter copy, where CIC wants me to send them my PR card so that they can print new one and send it to my Canadian address. I am wounder about sending PR card outside from Canada? one my friend relative is going to Canada as a new immigrant, Can i give my PR card along with printed copy of CIC scanned letter to him? But someone told me it’s a violation of law? Or i need to send my PR card through Registered courier mail? like FedEx and other? Which option is suitable for me? 1. Is there anything i can do about this situation? 2. If i had to apply for a travel document how long does it take to apply it. Will it take more than 1 months? Your application for PR renewal is taking a long time it seems. We can help here. If you have an urgent need to travel you can contact us right away. hii when i was 18 my parents took me back to india i had my pr which got expired i want to come back to my country now what is the procedure to come back as i am 22 and can come by my own…. I’m a newly landed immigrant in Winnipeg under Provincial Nominee Program (with PR status). It’s been tough finding a job in my professional field here, and I’m seeing a lot of opportunities for me in other provinces. However, I cannot move out of Winnipeg because I have to settle here first. My question is (exactly) how many years should I stay/settle here before I can actually decide to move to another province? I hope you can help me find answer/s to this question. Thank you and have a blessed day! Thank you for your question. If you came to Winnipeg under the PNP Program it depends when you arrived. In most cases, PNP programs require applicants to remain in the province for a number of years. However, once you are a PR, you have the right of mobility under our Charter of Right and Freedoms. You would best to contact an immigration lawyer to resolve this one. Another PR question regarding my older sister. We as a family immigrated to Canada and lived there for approximately a month. Then moved out of Canada with my parents. My older sister is that timeonly 21 years and 4 months old. And she was time to time going to Canada to ful fill her residential rtequirements but now not in a position to fulfill the 730 days obligation. She was still studying outside Canada and only visited Canada in her school vacation to ful fill the rsidential obligation but failed. Is it possible to count her absence from Canada as days for residential requirements as parents moved out of Canada? It is a wonderful site o get more information rgarding PR problems and thank you for it. My question is that : I entered Canada at the age of 19 yrs and my rother at the age of 12 years with my parents. However my parents went out of Canada with us and we are now not in aposition to fulfill the rresidential requirements of 730 days . Can my brother and I do qualify for our absent days from Canada as qualifying days as we were with our parents (Canadian pemanent residents) outside Canada? I became a PR recently (came to Canada through spouse). But I had to return to my native country before recieving the PR card since my mom got sick. Now the deadline to recieve the PR card has come and still my relatives back in Canada have not recieved the PR card. Can I call the call center from here and inquire about the card? What are the chances of my travel document being refused? You may contact CIC and follow up on the status of your PR card. It is hard to comment on the chances of hainvg your Travel Document application approved or refused. Approval of Travel Document applications highly depends on the discretion of the officer reviewing your file. 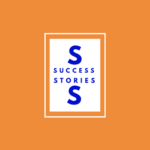 To be successful you need to clearly present the reasons why you had to return to your home country (i.e. your mother’s illness) under the Humanitarian and Compassionate consideration and why you need to return to Canada in a convincing manner. For this type of application, I suggest that you consult with a qualified immigration lawyer with more detailed information regarding your situation to better assess your situation. I became a Canadian permanent resident in April 2007. I had to leave Canada right after I became a PR and returned to Canada in September 2011. I have been living in Canada since September 2011. My PR Card expires in April 2012. I would like to remain in Canada until I meet my residency obligation even after my PR Card expires. Also, is it okay for me to travel outside of Canada after my PR Card expires? As long as you entered Canada while your PR Card was still valid, you may remain in Canada until your PR Card expires in September 2011. However, please note that since permanent residents who have not met the residency requirement of being in Canada for at least 2 years out of 5 may be considered to have lost their permanent residence, in which case they will be required to leave Canada. Since you will not have met your residency obligation by the time your PR Card expires, you would have renew your PR Card based on Humanitarian and Compassionate grounds. You need to explain the extenuating circumstances why you were unable to meet the residency obligation. If the immigration officer is satisfied there are sufficient Humanitarian and Compassionate (H&C) grounds, the officer will renew it even though you have not met the residency requirement. A PR card renewal application based on H&C grounds looks at exceptional circumstances that prevented you from returning to Canada, this application has to be prepared and presented in a convincing manner with sufficient documentation to support your case. I strongly recommend that you consult with an immigration lawyer to better assess your situations to submit a strong application for you. With regards to your travel plan, I recommend that you do not travel outside of Canada. You may apply for a Travel Document to return to Canada. However, there is no guarantee that a Travel Document will be issued to you and especially for those who have not met the residency obligation, the chances are lower. You may apply for a Travel Document based on H&C grounds, but again you have to present a strong and persuasive application to be approved. I suggest that you consult with a qualified immigration lawyer. My application for renewal of PR card has been approved and I need to collect it in person. Coming in from outside Canada, if I enter Canada by car from the USA, will I still need a permanent resident travel document or I can enter using my expired PR card? You would have to apply for a travel document prior to your entry to Canada to pick up your renewed PR card. Since your PR card renewal application has been approved, it would be a good idea to include a copy of the approval letter when applying for a travel document. My Canadian PR card has expired. Can someone help me what I can do next. If your PR Card has expired and you have not met the residency obligation, depending on the reason why you were unable to meet the residency obligation, you might be able to apply for a renewal. For example, you may count each day that you accompanied a Canadian citizen provided that the person you accompanied is your spouse or common law partner or parent, if you are less than 22 years of age. You may also count each day you worked outside Canada provided that you were employed by a Canadian employer. If none of these applies to your case, you may still renew based on Humanitarian and Compassionate grounds. However, I would need more details about your situation in order to better assess your options. Your blog has been very helpful before. My question is: I have just been granted renewal for my PR card (my old card has expired) and I need to pick it up in person. However, I am traveling outside Canada. what documentation would I need to re-enter Canada to collect my renewed PR card? will I need a travel document or just a visit visa? Excellent goods from you, man. I’ve keep in mind your stuff previous to and you are simply extremely wonderful. I actually like what you’ve acquired right here, really like what you are stating and the way wherein you say it. You make it entertaining and you still care for to keep it smart. I can’t wait to read much more from you. That is actually a wonderful site. Hi, I landed in Ontario in June and was told I will receive my PR card by mail. I have to go to South Africa to carry on with my final year of school. I haven’t received my PR card even after 8 weeks. Am I able to leave Canada and obtain a travel document from the immigration office in South Africa travel to Canada? Yes, you may apply for a Travel Document at the local visa office responsible for your area. Please ensure to bring all your landing documents with you when you travel outside of Canada. 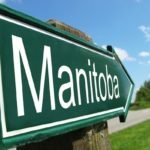 Can someone who has applied under the Provincial Nominee Program for one province later change his/her mind and settle in a different province? Or will this pose serious problems in the future when applying for Canadian citizenship? Individuals who never intended or no longer intend to reside in the nominating province may be denied permanent resident status at the Port of Entry and may have a report written against them. You must be mindful of the requirement to be truthful in your application. You have declared, at the time of the application, that you intend to live and work in the nominee province. The intention to settle in a province under a Provincial Nominee Program must not be perceived to be untruthful as giving false statements is an offence under the Immigration Act. 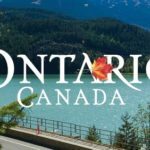 Should you move out of the nominee province, you must be able to prove that you have made efforts in good faith to settle in the nominee province before moving to a different province. Otherwise, you may face some consequences including your sponsor being prohibited from sponsoring other relatives or friends to the province in the future. I became a Canadian PR in March, 2007. I stayed in Canada until May, 2008, but went to the U.S. to attend a school there. I have come back to Canada for vacations/breaks a few times. My PR Card expries in August, 2012. Can I renew my PR without any problems? In order to renew your PR, you must meet your residency obligation (you have to be present in Canada for at least 2 years in a 5 year period). If you were outside of Canada and won’t be able to meet the residency obligation by August, 2012, you won’t be eligible to renew your PR Card. However, you may apply for a renewal based on the Humanitarian and Compassionate grounds. Just like your case, our office often has clients who were not able to meet their residency obligations due to their education outside of Canada. In our submission, we include a detailed explanation as to why you have failed to meet your residency obligation in Canada and why you should still be allowed to renew your PR Card. The reasons have to be presented in a compelling manner in order to persuade the immigration officer to allow you to maintain your PR status. Otherwise, you will lose your PR status. If I cannot complete my PR residency obligation, can I delay the renewal of PR card until I complete 730 days in Canada? If you have not met the residency requirements, you would have to renew it on the humanitarian and compassionate grounds. You should make the application before the expiry date of your PR Card. I am a PR in Canada. I am just wondering if I can go back to my home country for more than 6 months. For how long am I allowed to stay outside of Canada in order not to have any problems when renewing my PR? To renew your PR, you must have been physically present in Canada for a minimum of 730 days within the past five 5 years. As long as you meet this residency obligation, you should be able to renew your PR without any problem. I applied for my PR in December, 2009 and got a work permit in September, 2010. In October, 2010, I sent the last piece of information they asked. When I check my status online, it says “A decision has been made”, but I haven’t heard from them. How long it will take to get my PR Card? I really want to go to Mexico and visit my family there for my parents’ 50th wedding anniversary. Is there a way that I can go to Mexico before I get my PR Card? The current processing time for PR Cards is 33 business days after your complete package is received. It might be a good idea for you to contact the Call Centre. It is recommended that you wait until you have received your PR Card before leaving Canada. However, if you wish to leave before you get your PR Card, you can apply for a Travel Document. 1. My PR Card has expired on March 3, 2011. But, I am still outside Canada. Can I still renew my PR Card? 2. How can I visit my husband in Canada? If you have been physically present in Canada for a minimum of 730 days within the past five years, you may renew your PR Card. Even if you did not meet this residency obligation, you may still renew based on Humanitarian and Compassionate (H&C) grounds. For this, you need to demonstrate strong ties to Canada along with strong reasons why you had to be absent from Canada. As H&C applications usually involve much discretion on the part of the visa officer reviewing your file, it may be necessary to hire an immigration lawyer to carefully prepare persuasive submissions in order to be successful the first time. You may visit your husband by applying for a Temporary Resident Visa. However, depending on where you are coming from, you may be able to visit Canada without a visa. 1. My visa of Canadian PR (it is not Canadian PR, but the 1st step of obtaining PR) required me to cross the Canadian boarders by 3/3/2011. However, I failed to do so. Now what do I do? 2. I need to visit Canada for my husband’s work. Which visa should I apply for? If you mean Canada Immigration Visa, as a general rule, the expiry date on your Canada Immigration Visa will not be extended or renewed. Failure to land in Canada before the expiry date may result in the necessity of re-application. I would suggest that you consult an immigration lawyer to see if there is anything that you may still be able to do. It is not very clear from your question what the purpose of your visit is to Canada. If you simply want to visit Canada for a short period of time, you may apply for a TRV. I am a perminent resident, but my PR Card expired in September, 2010. Unfortunately, I could not renew it in time because of some trouble I had with Immigration. If I leave Canada and want to come back after two weeks, how can I return to Canada with my expired PR Card? Thanks for your advice. I will look forward to your answer. This is a very common situation for permanent residents. If your PR Card has expired and you are outside Canada, you must obtain a Travel Document which will allow you to travel back to Canada. You should make an application at the Canadian visa office responsible for your area. If you have resided in Canada for at least two years in the five year period, they will most likely issue you the Travel Document and allow you to return to Canada. My PR Card renewal application has been approved and I recieved a letter stating that I have to pick up my new PR Card on March 22, 2011. Since I am leaving town, I wish to pick up my PR Card more quickly so that I will have my new PR card before I leave Canada. What should I do? When you first submitted your application for a renewal, you could have expedited your PR Card process by showing proof that you will be travelling out of the country or have a valid reason of urgency. I recommend that you wait until you recieve your PR Card before leaving Canada. However, if circumstances do not allow you to wait, you can apply for a Travel Document at the Canadian visa office responsible for your area. If you have met the residency obligation, you will most likely be issued a Travel Document. Also, if you are from a visa-exempt country, you may be able to return without a PR card with minimal difficulty. I left Canada in 2003 after becoming a PR. However, I wasn’t able to return to Canada for 7 years because of my mother’s illness. She passed away in 2007. Now, my PR Card has expired. I already know that I need to apply for a Travel Document to travel to Canada. What are my chances of getting approved? If you show that you have met the residency obligation, the Canadian office abroad will most likely issue you the Travel Document and allow you to return to Canada. Even if you have not met the residency requirement, you may make humanitarian and compassionate arguments as to why you have been outside of Canada. You may argue that you were not able to return to Canada because of your mother’s illness. It seems that you may also have to explain why you did not return to Canada after your mother passed away in 2007. Other than this, it is hard to give you any accurate prediction because the decision whether to grant a Travel Document will depend on each case and the immigration officer reviewing your file. I am a landed immigrant. My family and I have received our PR Cards except for my younger daughter. She was not able to recieve her PR Card because of some photo related issues. We recieved a letter from immigration that we have to be present in Canada before December 2, 2010. Does this mean my daughter will not be able to get her PR Card? If you are asking whether your daughter should be present in Canada in order to pick up her card, the answer is yes. She needs to be able to personally pick up her PR Card when it is ready for pick up. I am travelling to Canada for the first time after getting my PR visa from India. However, I have to return to India again just after 5 days. Please advise on how I can receive my PR card because the rules state that it may take up to 4 to 6 weeks. Is it possible for me to give my mailing address in India to receive my PR Card? Please advice. I am travelling on Monday. Unfortunately, you cannot have your PR Card mailed to your address in India. You have to be personally present to pick up your PR Card. Someone stole my passport which had my student visa in it. I have a wedding to attend in a month and would like to know the fastest way to get back my student visa. Please help me. You can get it replaced by completing an application and paying a fee. Contact the Citizenship and Immigration Canada Call Centre. I just want to ask if there will be any possibility of visa denial when I apply for a U.S. tourist visa if I have a pending Permanent Resident application in Canada under the FSW category. Thanks! It is possible to pursue a tourist visa application. However, you may have to provide documentation demonstrating your ties to Canada. Since each consulate has its own way of processing applications, it is advisable that you refer to the consular specific instructions for further detail. My Canadian PR Card indicates that I am originally from India. However, recently, I got a British passport. I want to go to Canada. Am I going to face any problems at the border because my British passport indicates my Indian nationality? As Canada recognizes dual citizenship, it should be fine. But, you should bring documentation that demonstrates all your citizenships. (1) I am in Canada right now and was wondering as to how is one’s residency duration counted. (3) I applied for sponsorship application to sponsor my wife and when I didnt hear back from the concerned CPC office then they could not find my documents. I checked with the mailing company and its already been delivered. I have been asked to wait for 30 days but I doubt they’ll be able to find the documents. Should I resubmit the application to sponsor my spouse? To keep your status as a permanent resident, you must live in Canada for at least two years within a five-year period. I would follow up with the CPC office after 30 days. If the office still cannot find your material, I would re-send it to avoid any further delays. What kind of information can we change on a Canadian PR card? Normally, people like to change their names or addresses. If you want to change your address, you may contact the CIC Call Center at 1-888-242-2100, or you may write to the office notifying them of change of address. If you changed your name because of a change of civil status, you must get a new PR card with the updated information. I have a PR Card, which will expire before I leave for the U.S. by car. Because of the long processing time for a renewal, I will not have received a new PR Card before I leave. I’m traveling by car and have my “Confirmation of Permanent Residence” letter, which shows a validity until 2014. Will that suffice for re-entry into Canada by private vehicle? If you are outside of Canada when your PR Card expires, you must contact a Canadian Visa office to obtain a Travel Document to enter back into Canada. When appying to the Canadian office abroad to obtain a Travel Document, you would have to show that you have resided in Canada for at least 2 years in the five year period. However, if you have not met this residency requirement, you could make humanitarian and compassionate arguments as to why you have been outside of Canada for longer than two years. The decision to issue you a Travel Document is discretionary and depends on the visa officer reviewing your file. I applied for my PR in July, 2010 and have not been issued a PR yet. I am planning to visit the Philippines in February, 2011. What do I need to do in order to return to Canada? What is the processing time for PR now? A permanent resident of Canada can apply for a Travel Document issued by a Canadian visa office abroad. It takes about 4-6 weeks to get a PR Card. The current processing time for PR applications is 41 days for newly arriving permanent residents. Please help me with some information regarding landing and getting a PR card. My husband and I plan to fly into Canada(Toronto) in mid December as skilled workers. I want to stay in Canada for 3-4 weeks and then get back to the Netherlands. But, my husband can stay longer. Does the issuance of PR take more than 3-4 weeks? Is it possible to fly back without picking up my PR card? Can my husband pick up my PR Card or should I present myself? You have to pick up your PR card in person. If you do not pick up your card within 180 days, it will be cancelled. If you fly back without your PR Card, you would have to apply for a Travel Document at your local Canadian Embassy to be able to come back to Canada. If you are applying for a Permanent Residence Card at the border for the first time (that is, you are getting landing status) you will receive the card within 4-6 weeks. I just became a PR in Canada. What is going to happen if I want to return to my home country in order to continue my education for about a year or two. What is going to happen to my PR status in Canada? Am I going to lose it? When you renew your PR card, you have to have resided in Canada for at least 730 days within the five year period. So, if you are going to be absent only for 3 months, there should not be a problem. If you are away from Canada for more than 730 days, you won’t be eligible to renew your PR Card. However, you can still be approved for a renewal on Humanitarian and Compassionate grounds to justify your absence from Canada. In addition, if you accompany a Canadian citizen or a permanent resident outside Canada, you may count each day away from Canada towards your days for PR, provided that you meet certain further conditions. I have been working in Toronto for last 3 years on a work permit. Now i want to apply for PR here .How do i decide if i should apply under Canadian Experience class or Federal Skilled worker class ?Also my current WP expires on 30th June 2011. If i apply for a PR before that ,can i continue to stay and work here and also travel to India in between ? If you are currently working in Canada, your current employer has made an offer to give you a permanent job if you are accepted as a federal skilled worker (FSW) and your temporary work permit is valid both when you apply for a permanent resident visa and when the visa is issued, it may be easier for you to apply for a FSW with arranged employment. You can apply for both CEC and FSW, but you are required to submit new applications with new fees and will have to choose under which one the permanent resident status will be granted. However, before making this choice, we would require more information including your work experience in Canada and educational background. For a more detailed evaluation, please feel free to consult one of our immigration lawyers. I would like to know if it is possible for me to renew my PR Card while I am abroad. I have some business situation that forces me to stay abroad. My PR Card expires in December and I’ve met the residency obligation. Can I complete PR Renewal application forms and receive my PR Card while I am abroad? Please note that you can be outside of Canada when you apply for a renewal of your PR Card. However, you have to come to Canada to pick up your new card once your PR card renewal is approved. Should you require any further assistance, please do not hesitate to contact our immigration lawyers. I sent out the application to renew my PR Card. I sent a copy of my UK Passport. My problem is that I also need to renew my UK passport due to travel, but what if I am not in possesion of my UK Passport when I need to pick up my new PR Card. Or if I am in possession of the new UK Passport+the old UK Passport will it be possible to get the new PR card? If you are not in possession of a valid Passport, you may have difficulties obtaining your PR Card. You should have at least a certified true copy of your UK passport. When you are notified to pick up your PR Card, you also may wish to send them a request to postpone the pick up until you get your new UK passport. I’m living in Canada and my PR card will expire on Aug 9, 2010. I’ll need to travel to US for several days in July and will be back on July 13, 2010. Is it ok that I use the PR card to come back to Canada when the card is so close to expiration? I plan to renew the card at once after I return. I believe that I should be in Canada during the whole renewal process? Generally speaking you can use your current PR card to reenter Canada so long as it remains valid even if close to expiry. When picking up my first PR card, what if I misplaced my original IMM 1000 document but have the rest of my ID including my passport, health card, etc. Will they still issue my PR card to me? Not having your IMM 1000 could be a problem. If you have a certified true copy of it then you may be ok–otherwise you may want to apply for a new one first. I recently lost my PR card. Unfortunately, that PR card would expire this october 2010. Is it possible to just apply for citizenship instead of reapplying for a new card? And is there any way I can get a replacement card ASAP? I have an urgent trip to the US this April. If you have met the residency requirements for Canadian citizenship the it is possible to apply for citiizenship. Generally, you would need to have resided in Canada for three years within the last four years of applying. You can get a new PR card on an urgent basis. To do this you have to show Immigration your travel plans. My husband lost his PR card along with his Canadian drivers license in August of 2009. We sent in the documents in September and after following up for several months have only receive a message from them today stating they need additional documentation. The notice on the website states it takes them 100 plus days to open a letter and we have to leave the country for a couple weeks this June. Is there a way to expedite the process. Could he apply for a visitors visa to Canada just to ensure we would be able to reenter the country in June. Your husband could apply for a travel permit outside Canada at an Embassy for his return. Regarding his application for a new PR card, I would have to look into this matter and see what could be done to expidite the process. I’m a Filipino citizen, currently in Cebu City, Philippines. I am a permanent resident of Canada. My permanent resident card expires on March 31, 2010 and my husband (Canadian citizen) and our 3 children are returning to Canada April 27, 2010. I have tried asking this question to the Canadian Embassy in Manila – but have not received a response to my email. Would I need to travel to Manila to do this, or would the Canadian Consulate in Cebu City be able to help me with this? You should be able to apply for a travel document before your card expires. In your application, you should include a cover letter that clearly explains your situation. I am not sure whether the Canadian Consulate in Cebu would accept such applications. A safer bet would be to apply in Manila. I have a PR card and have almost lived in Canada for 2 years out of the five (almost, by 3 months). I lived here for a year prior on a working/holiday visa. I need to move back to Denmark in a month or two, for personal reasons, and my canadian fiance is coming with me. We are planning on staying for years and planning on starting a family. Am I able to travel back to Canada and if I need, to renew my PR card after the 5 years expires? Or do I have to stay exactly 2 year?. What can happen if I don’t? When renewing your PR card, you have to show that you have resided in Canada for at least 2 years within the 5 year period that your PR card is valid for. However, if this is not the case, you can still be approved for a renewal on humanitarian and compassionate grounds that justify your absence from Canada. Further if you are accompany your spouse who is Canadian the time away from Canada will nevertheless count towards your days for PR. I applied for Canadian immigration and got my PR residence visa in June 2009, afte rwhich I travelled to Canada and landed in Toronto for the first time on 19th Sept 2009 three months back. What can i do to get my PR card without complications as I have heard that they might not send the PR card to my friends address if they found out that I was not in the country? Generally, you have to pick up your PR card personally and it is not usually mailed. You have to have a Canadian address but you should pick up your PR card at a local CIC Centre. You may want to hire an immigration lawyer to act on your behalf to investigate this matter. Hello, my PR Card is expiring in Feburary 2010 and I am planning on leaving Canada for tow weeks in January. I will be back in Canada Before February. Can I stay in Canada during my card renewal? Is it legal since I won’t be travelling anywhere with my expired card? I read that it takes several weeks or even months to process a new card in some cases. So my question is that is it ok for me to stay in Canada while applying for a new PR card? Yes you can remain in Canada while your PR Card renewal application is in process. A PR Card is for travel as a Canadian Permanent Resident. If you are staying in Canada, and not travelling, while your PR Card is in process, then you should have no problems. My PR card will expire on 12 Jan 2010. I have applied for Renewal of my PR card on 10 Sep 2009. I will be going to India on 15 Jan 2010 and will be back on 15 Apr 2010. On 02 Nov 2009 I have sent photocopy of air ticket to the PR Card Processing Center for urgent processing of my application. According to processing time of the PR card renewal applications I may not receive my new pr card before end of Feb 2010. Please advise whether I can still travel with expired PR card and apply for travel document from abroad before coming back to Canada. I have submitted my application for my permanent resident card in Canada under the common-law family class. I have gotten lots of mixed answers but am wondering what the approx total time from when I sent in my paperwork until I would possibly have my permanent resident card in my hand would be. Also, I am applying in Quebec: does speed things up or slow things down any? 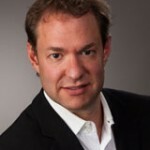 I am a Canadian citizen living overseas, I want to sponsor my common law spouse. We have all that is required, joint lease, monthly receipts, utility bills, gym membership in both names, we have purchased property in both names, bought a car, have emails, phone bills when I am in Canada showing we talked daily etc. Other than the fact she put both our address and her husbands in the box for addresson the TRV application I think we are OK, how do we deal with this issue. I have got a Valid Visa for the US. I have not received Canada PR Card. I came back to my home country due to some urgent work. Can I apply for temporary visa from US or from any other country to travel to Canada by road from US? If you forgot your PR card and left Canada, you can go to the nearest Canadian consulate and explain to them the situation and ask for a travel permit to return to Canada. I’m curious about the whole PR card thing. My husband is an immigrant, and holds a PR card. His card was due to expire soon, so he completed the renewal application. However, his card expired two days ago, and he has yet to receive the new one. I asked him if allowing his PR card to expire somehow affects his legal status in Canada. (He’s lived in Canada for the past 20 years.) He said the card isn’t, itself, the record of his legal status, but rather a form of proof of it. Meaning, he is a legal resident of Canada, even if the card has expired. I looked around the Internet and couldn’t find any information about expired PR cards, other than how it relates to travel. I’m curious if an expired PR card has any other relevance, other than prohibiting international travel (or, at least, the ability to return to Canada). Is the PR card essentially a travel document, or is not having a valid one grounds for some kind of action against the person? I travelled to US during this winter holiday however I forgot to bring my permanent resident (PR) card with me, do you have any idea what are some of my options? Thank you very much! There are two issues here. Firstly, the fact that you lived overseas with your Common law partner for over one year may make you eligible for a common law sponsorship application. However, proof of your cohabitation together is especially important here given you are living in another country. Also, if you are not a Canadian citizen and only a PR Resident yourself, then you have to return to Canada in order to sponsor her. Finally, the fact that on her tourist visa she put her X husband’s address on the form may cause credibility problems. This issue can be overcome but has to be dealt with properly. I have lived with my common law spouse for 18 months in the Philippines, In December 07 she applied for a tourist visa to Canada and was denied. Unfortunately she made a mistake on the application and put her ex husband’s address and hers under both names. She has been separated for three years. I want to sponsor her as a common law spouse and we have all the proof and documentation we need. Will this error on the PR application affect her chance to be sponsored by me as a common law spouse? I dont want to proceed until I get this question cleared up and it is difficult to get an answer.